Welcome to the Hampton Inn - Suites Chattanooga/Hamilton Place located close to many downtown Chattanooga attractions and within walking distance of Hamilton Place Mall. 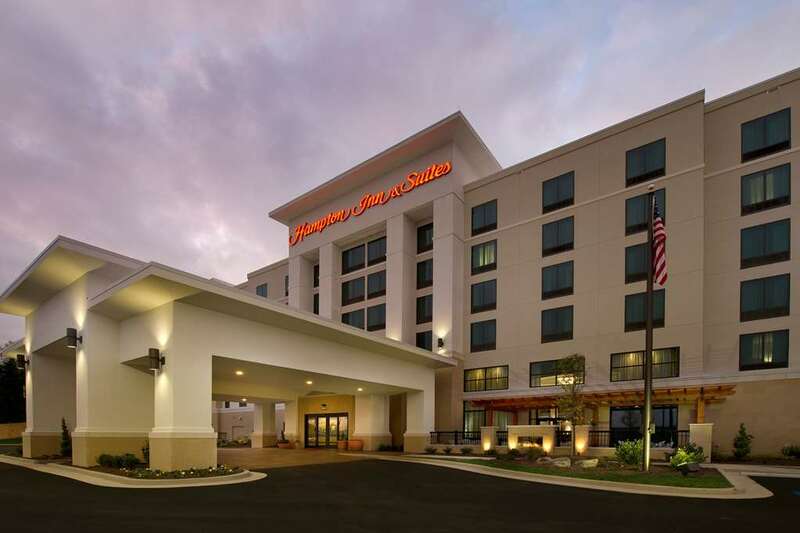 Our modern hotel is only six miles from Chattanooga Airport with easy access to I-75. Begin each morning with Hampton*s free hot breakfast buffet in our Chattanooga hotel*s spacious two-story breakfast area. Choose from a selection of your favorite hot and cold breakfast items including bacon and fresh eggs our famous fresh-baked waffles and hearty oatmeal. If you*re in a hurry simply grab one of our free Hampton On the Run-trade. Breakfast Bags available Monday through Friday. Energize in the modern fitness center and indoor swimming pool or retire to your guest room at this hotel in Chattanooga TN and relax on the clean and fresh Hampton bed. Enjoy homelike amenities including a microwave and a mini-refrigerator. Upgrade to a suite for extra space and a pull-out sofa bed ideal for kids. Check emails with free internet access throughout the hotel stay connected in the 24-hour business center or work from the comfort of your guest room with our convenient lap desk. We also offer 1 379 sq.ft. of flexible meeting and event space ideal for presentations conference calls or special events. Friendly service clean room comfortable surroundings every time. If you*re not satisfied we don*t expect you to pay. That*s our commitment and your guarantee. That*s 100 Hampton. Sticky Fingers: Chattanooga*s most famous BBQ restaurant. Big River Grille - Brewery: Committed to using only the freshest and finest ingredients our restaurants showcase a passion for food with seasonal menus daily specials and frequent changes to the regular menu.